Mr. Rick Lassiter has over 25 years of private club and premium hospitality experience in sales & marketing, business development and client services. He currently oversees the membership development efforts for Penn-Florida’s club properties. He began his career in membership development at the world famous Boca Raton Resort & Club where he led sales and marketing initiatives for the $110 million membership program. In 1997, nationally known entrepreneur, H. Wayne Huizenga called on him to develop and implement the high-profile marketing and sales campaign for the luxury executive suites at the Broward County Arena (now BB&T Center), a $185-million hockey arena in Sunrise, Florida. Mr. Lassiter has also led in the design and implementation of premier membership programs for other distinguished properties like Grande Oaks Golf Club in Fort Lauderdale, Florida, Naples Grande Golf Club in Naples, Florida, The Club at Savannah Harbor in Savannah, Georgia and The Gilchrist Club outside of Gainesville, Florida. In 2003, Mr. Lassiter was once again tapped by Wayne Huizenga to manage the prestigious marketing and sales efforts of executive suites at the stadium for the Miami Dolphins and Florida Marlins. His efforts included implementing and upgrading service initiatives for a clientele that generated up to $18 million annually. He also managed suite sales and inventory for premier events such as the Super Bowl, Pro Bowl, World Series, BCS National Football Championship, International Soccer and concerts. Prior to joining Penn-Florida, Mr. Lassiter was with the Florida Panthers organization overseeing a newly branded premium seating department, launching a luxurious and innovative 500+ seat private club and managing other premium seat assets including executive suites and club seats. 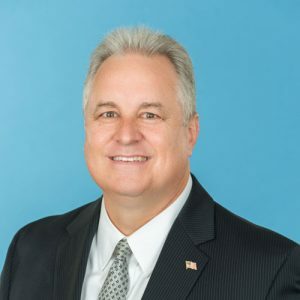 Mr. Lassiter holds a degree in Business Administration from Palm Beach Atlantic University, where he currently sits on the Alumni Board of Directors.